Drupalcon is a conference that is put on by the Drupal Association with various sponsors. Often they hold one event in the US and another event or two abroad. This year one event is in Prague (in September), another was in February in Australia and the other was at the end of May in Portland. 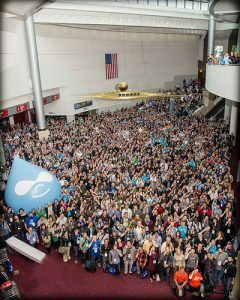 I was lucky enough to get to attend drupalcon Portland. For some background, I want to start by letting you know that we use Drupal as our Content Management System (CMS) for the Libraries website. What this means is that we use this CMS to allow users with no coding experience to upload content and contribute to the website. Drupal is an open-source system maintained primarily by users of the system itself. People are able to develop and upload themes, child themes and modules to extend the already robust drupal system. 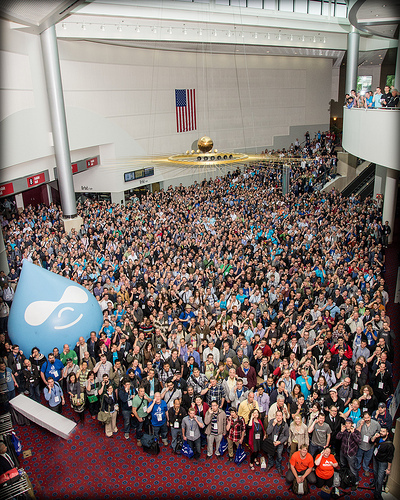 The conference allowed 3000+ like-minded individuals to gather together and discuss the upcoming changes to Drupal as it moves from version 7 to version 8 and also a number of other interesting things on the horizon. Some of the sessions I was extremely impressed with were the sessions focusing on Panels. Panels are a tool utilized to make the page different, allowing the absolute manipulation of the layout and what goes where. We utilize it at the Libraries already, but at DrupalCon, they went more in-depth about panels and modules that help extend the panels module like Panopoly, layout extension and some others and then went on to discuss the possibility of panels being incorporated into the Drupal 8 core. All of this is fascinating and can only lead to a bigger and badder Smithsonian Libraries’ site. We plan to implement a more responsive design in the future to better suit the needs of all of the different devices and one of the keynotes (on day 2 of the conference) addressed the idea of content for multiple devices and not just writing content with the idea of it being one page, but rather with the idea of it being a chunk of a page, somewhere on the screen. This way of thinking seems to be the way of the future and I think, the way we will be moving towards. I was already excited for what the future is going to hold as far as responsive design, further utilization of Drupal’s robust capabilities and open source development; but now, after going and spending a week living and breathing Drupal with fellow developers, I have to say I am more ecstatic than ever to be moving forward with Drupal in a more in-depth way here at the Smithsonian Libraries!